With the explosion of technology and internet connected devices it is getting easier to improve your home in a way that can have a real impact on your quality of life. But when people hear the phrase “Smart Home” it conjures up images of science fiction buildings populated with robots and touchscreens that will eventually do something wildly unexpected. And while there are certainly homes out there that are trying to approach Tony Stark’s Iron Man mansion, there are plenty of reliable and affordable devices on the market that can add some smarts to your existing home. Home automation is the idea that there are routine, boring, repetitive tasks around the home that can be accomplished by a device or service rather than by the resident. What those tasks are will vary for every household and that means that everyone’s idea of a smart home will be a little different. Figuring out what those tasks are and putting a reliable solution in place can raise your quality of life in both large and small ways. Improving home security, reducing utility bills, making the home easier to clean and more comfortable are all areas that can be improved with devices collectively referred to as the “Internet of Things”. A smart home consists of devices that either respond to activity (motion, temperature, weather reports, etc) or can be controlled remotely through a smartphone or other device. The inclusion of internet connected devices (the Internet of Things) is why you often hear the term “Connected Home” used. Home automation systems range from simple do-it-yourself items such as a light bulb or plugin device to more complex systems that can be installed by professionals. Below is a list of some of the most common areas and device types that go into a connected home. Smart lights can refer either to a light bulb that is controlled by software through an app on your mobile device or to switches that control the lights. There are advantages and disadvantages to both solutions. 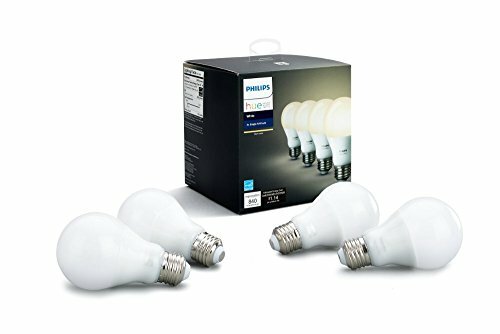 Smart light bulbs allow for a greater range of control including brightness and color. So if you want to set the mood for a scary movie night you can set your living room to a deep red to heighten the suspense. The downside is that whatever switch is connected to that light has to remain on at all times. If you turn the switch off, no amount of internet enabled magic is going to turn on your smart light bulb. Alternatively, smart switches allow you to continue using the light switch in a normal fashion while also controlling them from your phone or voice assistant. This is great if you have someone in the home who forgets that the smart control is available or who finds the technology frustrating. For those folks, everything works as it always has and you don’t have to train them on your new fancy smart house. The biggest drawback is that you lose the ability to control light color. We should also mention slightly “dumber” solutions here as they can be really effective in the right situation. 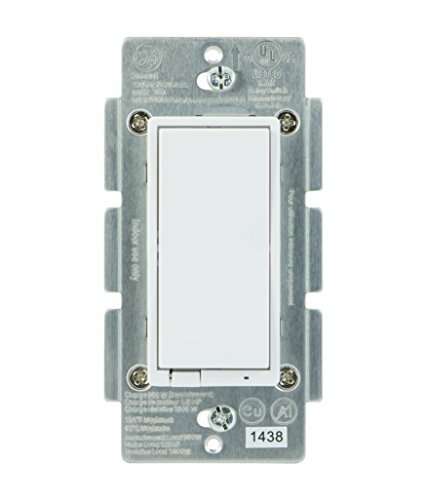 Motion sensing light switches (that turn on the lights each time you enter a room) are inexpensive and very useful in places like a bathroom, utility room, garage or hallway where you know you want light every time you walk through. Appliances like rice cookers, washing machines, electric kettles, and microwaves can all be conveniently controlled by a smart device. For instance, you could turn the washing machine on or off even while away from home or get an alert when the laundry is done drying. And before you say that is an outrageous idea, ask yourself how many times you got halfway to work and realized you forgot to start the wash! 2018 also saw the commercial release of a few machines to fold laundry! But it will be a few years before you start to see those in many homes. 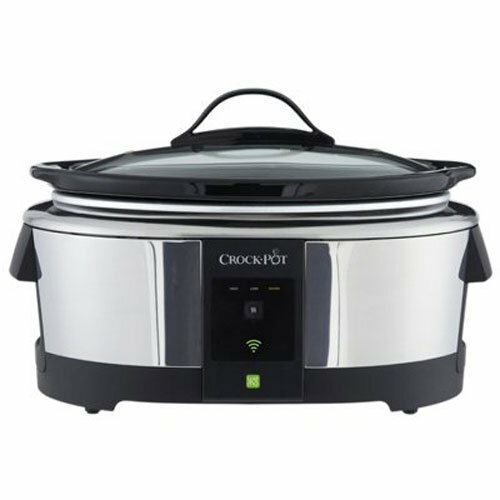 In the kitchen a rice cooker, Instapot, or slow cooker could be programmed to start at a set time or turned on and off remotely. Fridge and freezer temperature could be monitored or you could check the ice level in the ice maker and send a signal to start making more because you forgot you were having dinner guests that night. There are also a variety of ovens and toaster ovens that can recognize what food has been placed in them by weight and imaging and give you perfectly cooked food every time with the press of a single button. Then get alerted when its ready to eat! 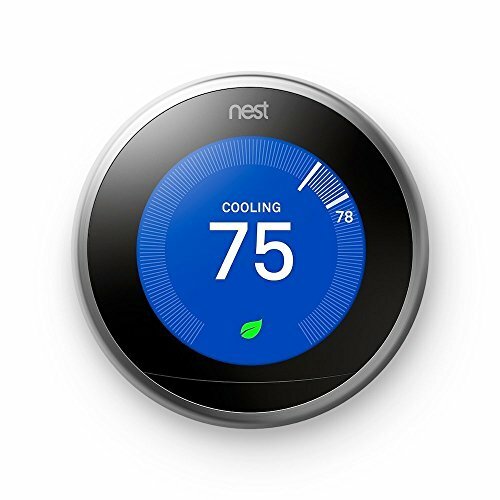 Smart thermostats were one of the first types of home automation devices to hit the mass market. Being able to change the temperature with your favorite voice assistant or through an app on your phone is a very appealing thought to many folks. But we often forget that thermostats with programmable schedules have been around for quite awhile and this is often a more than adequate solution for a household. Remember, the goal isn’t technology for its own sake, but to make life a little easier. If you find yourself walking to the thermostat several times a day to adjust the temperature, a smart thermostat might be for you. Home security is one area of the smart home that has seen lots of growth in the last year. Video doorbells, motion activated cameras and flood lights, and motion sensors have all seen big reductions in price as more manufacturers enter the market. Incorporate a smart lock to be able to monitor and lock your doors remotely. 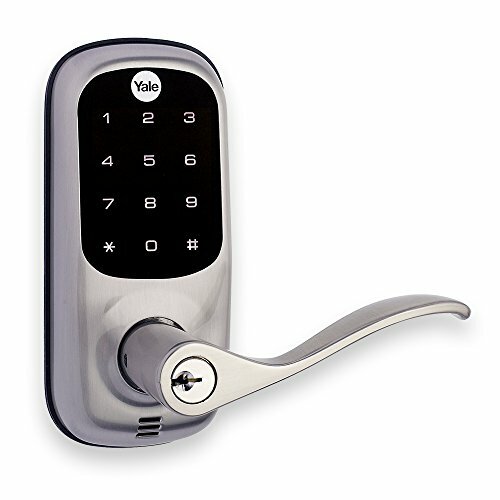 Add a keypad to the mix and you can grant access to house cleaners, dog walkers, kids, guests and others and keep tabs on when they enter the home. Smart home security products tend to come in two categories. Those with a monitoring service attached and those without. Monitoring services are similar to the more traditional security services we are familiar with like ADT or SimpliSafe. Once the devices are installed they require a monthly fee to provide 24/7 monitoring of your home’s security. Products without a monitoring service included have no recurring fee but rely on the user to monitor their own property through alerts on their smartphone. Each version has benefits and drawbacks and you should carefully consider your needs before purchasing. If you are old enough to remember the Jetsons television series, you remember Rosie the Robot buzzing around the house cleaning and tidying everything for the family. 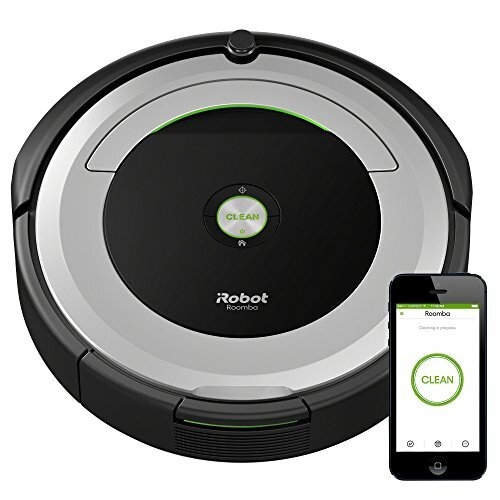 We haven’t quite gotten to the tidying part, but you can absolutely buy a robot to clean your floors! Models are available to handle hardwood, tile, or other types of smooth surfaces as well as carpet. Coming home to a clean floor as your Roomba scurries back to it's charging station can be a very de-stressing activity. There are even similar devices for your yard! Imagine having an hour of yard work removed from your schedule each weekend. 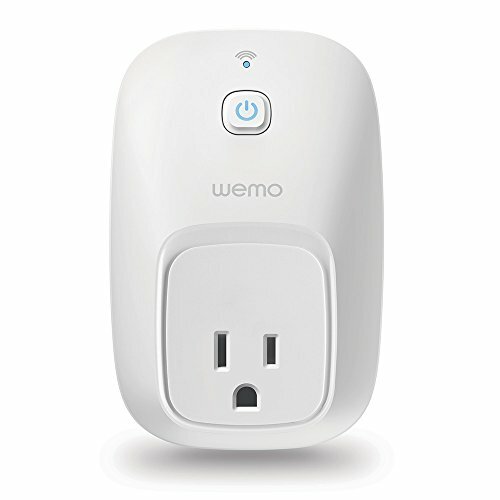 One of the easiest ways to get started with home automation is with a smart plug. These devices simply go into your existing outlets and act as an internet connected switch and timer. Great for lamps, outdoor lights, christmas tree lights or anything else that plugs into a wall. Garage doors have had motorized openers for decades but they rely on a remote control placed in the vehicle. This can be a problem if you switch vehicles or the remote gets lost. Much easier to use your phone to control the garage. Or even have it open when it senses your car approaching! Right now the best known on the market is the Chamberlin MyQ. Smoke alarms and carbon monoxide detectors have saved countless lives. With a connected alarm, we add the possibilities of notifying emergency responders or family members in other locations when they go off. This can reduce response times and perhaps limit property damage and casualties caused by these disasters. You will probably need a command center in the middle of all this technology. We are all used to using apps on our phones to do almost anything, but the real magic happens when you can talk to your ever present and reliable assistant. 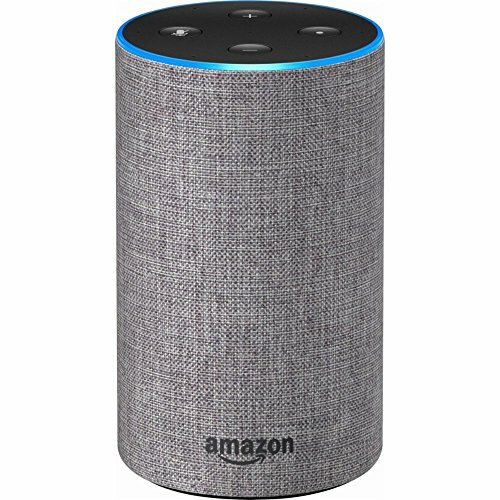 Devices like Amazon Echo and Google Home provide a quick and easy way to control all of the connected aspects of your home in addition to acting as an intercom, providing weather updates, playing music, controlling your home entertainment center or setting alarms and timers. No individual or family could ever take advantage of all the features offered by a digital assistant, but most people will find three or four uses that make a noticeable difference in their life. As it is in any booming industry, you will hear a lot of different terms related to Smart Homes. “Connected Homes”, “Home Automation”, “Internet of Things” are all used to describe the idea of putting technology into your residence that improves your quality of life. While it may seem like an overwhelming futuristic bit of sci-fi, the reality is that many of the options described above can be purchased for less than $100 and installed by anyone with no tools needed. If you’ve been thinking about making your home a little smarter but weren’t sure where to start, feel free to contact Nerd Butler with your questions. We’d be happy to answer questions and point you in the right direction.